THE LAWYER’S MOST IMPORTANT ROLE IN CONNECTION with the launch of a new private equity fund (PE fund) will involve the preparation and negotiation of the key documents for the offering of its interests. The sale of PE fund interests to investors constitutes an offering of securities that must be registered with the U.S. Securities and Exchange Commission (SEC) and state authorities or meet an exemption from registration under federal or state securities laws. Therefore, counsel advising a PE fund should have a keen understanding of the relevant legal considerations, including compliance with securities laws, when negotiating and drafting the key documents composing an offering of PE fund interests. This practice note describes these key documents, including the private placement memorandum (PPM), the subscription agreement, the investor questionnaire, and the formation documents for the PE fund and its manager, as well as agreements with any service providers. Legal counsel will typically become involved early in the launch of a new PE fund. The sponsor will approach counsel requesting help preparing the legal formation and offering documents for the new PE fund. The sponsor may expect counsel to have form precedents on file that can be quickly customized to the specifics of the PE fund. Counsel will typically start by drafting a PPM. It is customary for the sponsor to provide a description of the PE fund’s strategy and biographies of the business team, as well as information on the team’s prior track record, if applicable. Counsel should review these contributions carefully and be prepared to offer constructive and accurate feedback. Once the PPM has been drafted, reviewed, and revised, it will be sent to prospective investors in the PE fund (with supplements to come as the PE fund makes investments and/or material changes to its summary of terms). Counsel will then turn to the legal formation documents (such as the limited partnership agreement that governs the PE fund) and the subscription documents. Outside service providers like the administrator and any placement agents may each prepare their own form of service agreement, which the counsel to the PE fund and sponsor will review and negotiate, as necessary, or may expect fund counsel to serve up its own form of agreement. Prior to deciding to invest, investors will typically engage in extensive due diligence, including legal due diligence conducted by their own inside or outside counsel. As part of legal due diligence, in addition to requesting a copy of the PPM and the legal formation documents for the PE fund, investor counsel may also request copies of the service agreements with the main outside service providers (if any), such as the administrator. Additional due diligence requests may follow for other material contracts to which the PE fund and its manager are parties, both those documenting investments made by the PE fund, if there are any to date (such as shareholder and stock purchase agreements), or those involving the manager’s access to securities data and investment research (such as data vendor agreements and agreements with expert networks). Finally, the manager’s internal written policies and procedures with respect to compliance, research, allocation, and operations may be reviewed. Investor counsel may provide comments on the limited partnership agreement and seek to negotiate various points. They may also propose a side letter containing additional provisions to be undertaken and representations to be made by the PE fund and/or its manager as a pre-condition to an investment. Once a sufficient number of investors are poised to make capital commitments, the PE fund will be ready to have a first closing. The closing process for a PE fund offering tends to be less formal than for other corporate or securities transactions, because by this stage many of the legal agreements will have been negotiated and executed. The exception to this is the limited partnership agreement, which may continue to be negotiated during the remainder of the offering process. As new investors negotiate and are admitted, the general partner may need the consent of existing investors to amend the partnership agreement. The closing largely consists of the investors delivering executed subscription agreements (and side letters, if applicable) to the PE fund along with any amounts then payable. The PE fund’s general partner or managing member will then accept the investors’ capital commitments by delivering an executed signature page back to the investors, along with notice of closing. Typically, legal counsel is not required to provide opinions of counsel, and extensive closing certificates are not typically required to be delivered by the parties. The process leading to the initial closing will also include creation of the legal entities acting as the investment manager and/or general partner, along with operating agreements and any other documentation of the governance and economics of these entities. The same law firm will typically represent both the PE fund and the sponsor / investment manager / general partner. The PPM will typically disclose this potential conflict of interest and the fact that legal counsel does not represent the investors, who will need their own counsel to review the fund documentation and negotiate their investment. Most PE funds rely on Rule 506 17 (CFR 230.506) under the Securities Act of 1933, as amended, for exemption from registration with the SEC for the offering of their interests to investors. While Rule 506 does not technically require any specific disclosure in offerings to accredited investors, it is a universal practice for a PE fund to prepare and deliver a PPM to investors and prospective investors. This is one of the first tasks, and in many ways the most critical, for which PE fund sponsors ask the assistance of law firms. The basic legal standard is that the PPM must provide prospective investors with disclosure of all material facts about the offering and the PE fund: its management; business; operations; and the risks associated with the PE fund, its investment objective, and strategies. In addition, the PPM should not fail to disclose any material facts that would keep the disclosures actually made from being materially misleading. Generally, a PPM should contain largely the same information that would be found in the prospectus and statement of additional information filed by a publicly offered mutual fund as part of an SEC registration statement (although, of course, the PPM is not in fact filed with the SEC). Most importantly, the PPM must accurately describe the material terms of the PE fund’s basic legal documents, such as the partnership agreement and investment management agreement (and memorandum and articles of association, if applicable). If there is a discrepancy between the PPM and the legal agreements, this creates regulatory issues for the investment manager in the context of SEC inspections and examinations. Discrepancies or material omissions also create the risk that investors will ask a court to conform the legal agreements to the disclosure in the PPM, or vice versa, presumably to the detriment of the investment manager / general partner. A key difference between the PPM for a PE fund and the PPM for an operating company conducting a private placement of its securities is that the PE fund PPM will not contain financial statements or similar financial disclosure about the PE fund. Financial information, including investment returns of any prior funds, is provided to prospective investors via the PE fund’s audited annual report and interim unaudited reports to investors, which are typically requested by and provided to prospective investors during their pre-investment due diligence process. Additionally, the sponsor will provide PPM supplements to current and prospective investors periodically prior to the PE fund’s final closing. These supplements contain any material changes to the PPM, as well as summaries of all investments made to date. Cover page and inside and outside cover page disclosures. In addition to basic identifying information, such as the name of the PE fund and contact details for the investment manager, the key data on these pages includes legends and disclosures informing the reader that the PE fund is privately placed and not registered. List of service providers. The names and addresses of the investment manager / general partner, legal counsel, auditors, administrator, and any other material service providers. Summary of terms. This term sheet lists the essential economic terms, such as fees and expenses, priority of distributions, investor remedies, and minimum investment amount, and identifies the key service providers. Investment objective and strategy. The investment manager generally provides a rationale for the PE fund’s target investments (e.g., middle-market healthcare companies). This may include general market data as well as research by media and industry sources. The rationale is usually followed by a high-level summary of the investment process used by the manager. Management and service provider disclosures. In addition to basic fee terms and other material terms of any service provider agreement, biographies of the investment manager’s key personnel and investment professionals are included. Risk factors and conflicts of interest. The reader would be warned of the potential downside of an investment in the PE fund, whether because of the nature of the investment strategy, the terms of the PE fund, or the relationships between management personnel and their outside interests. Regulatory disclosures. The regulatory status of the PE fund and its service providers, in particular the PE fund and manager’s ERISA status and any undertakings, are summarized here. Tax disclosures. Material tax consequences of an investment and considerations for U.S. investors are summarized. It is important to note that non-U.S. investors may need to retain their own tax counsel to consider the merits of an investment. A lawyer assisting a PE fund sponsor with the PPM would draft disclosures for most of these sections. The most distinctive section of the PE fund’s PPM is normally the section on the PE fund’s investment objective and strategy. While counsel should be able to provide assistance in framing this description and suggesting appropriate risk factors, the PE fund’s investment manager / general partner will obviously have the best understanding of the PE fund’s investment program and know their own investment processes best. Therefore, the investment manager / general partner will typically prepare a summary of the investment program for review and comment by its counsel, with both working together to prepare disclosure language suitable for a legal document. The subscription agreement sets forth the basis on which a prospective investor will be admitted as a partner or member of the PE fund. The subscription agreement is signed by the investor and delivered to the PE fund’s agent (generally the PE fund’s outside counsel) prior to the closing in which the investor wishes to be admitted to the PE fund. The investor will make a number of representations and warranties in the subscription agreement. Most important among these is that the investor is accredited and is a qualified purchaser or qualified client, or a non-U.S. person. These representations are typically supported by an investor questionnaire in a checkthe- box format, where the investor self-certifies that it is an accredited investor and a qualified purchaser or qualified client, or a non-U.S. person. Historically, these self-certifications have not been verified by requesting additional due diligence support. This practice is likely to change for PE funds engaged in Rule 506(c) offerings where reasonable steps must be taken to ascertain a prospective investor’s status as an accredited investor. Counsel assisting a PE fund sponsor with the offering will be expected to draft a standard form subscription agreement and investor questionnaire. The PE fund’s counsel may also be asked to review subscription documents completed by investors, though this task is sometimes reserved for the investor relations personnel or in-house counsel of the investment manager / general partner. General provisions. Basic housekeeping about matters such as formation, purpose, and registered address. Management. Describing how the limited partnership is managed, including calculation and payment of the management fee. The standard arrangement is that the general partner is responsible for all management decisions, while the limited partners are purely passive investors. Closings. Details the procedure for conducting a fund closing, as well as any true-up and interest payments required from investors admitted at subsequent closings. Capital calls. Describes the procedure for calling capital from investors. Investment limitations. Outlines the restrictions on investments made by the fund and commonly addresses portfolio concentration, geographic, and industry limitations. Distributions. The major focus of the distribution provisions is the distribution waterfall, which details the priority of distributions, including the 20% carried interest payable to the general partner. Reporting. Addresses the annual audited report and tax reporting. Exculpation and indemnification. Provides broad exculpation and indemnification to management and related persons. Duration and dissolution. As a PE fund, the partnership’s duration will limited. This provision details any permitted extensions to the fund’s term, and the consents required for such extensions. Transfers. As there is no liquidity in PE funds, investors may make transfer requests from time to time that the general partner will want to accommodate. Miscellaneous. Typical housekeeping provisions found in any contract, in particular how the LPA can be amended. When a PE fund is organized as an offshore corporation (and in some instances, where the PE fund is organized as a partnership), the investment management agreement (IMA) grants the investment manager the needed authority to invest and manage the PE fund’s portfolio. The IMA governs the terms of the arrangement between the PE fund and the investment manager—in particular, the calculation and payment of the management fee and any accompanying offsets. The IMA will also provide broad exculpation and indemnification to the investment manager and related persons. PE funds generate a significant amount of back-office accounting work from their required reporting to current investors, regulatory reporting obligations, and in responding to diligence requests from prospective investors. Increasingly, PE fund sponsors may elect to outsource this work to an outside administrator, and the administration agreement is the service agreement describing the services to be offered by, and the fees received by, this administrator. The core or basic services of a fund administrator are responding to diligence requests, monitoring transfers of interests, keeping the PE fund’s books and records (in particular those required to value the PE fund’s assets), delivering account statements and other information to the fund principals, and distributing quarterly statements and other regular reports to the investors. Having a third-party administrator allows the PE fund’s investment professionals to focus on their investment activity and provides some reassurance to investors of operational checks and balances. The administration agreement will typically provide broad exculpation and indemnification to the administrator and related persons. The administrator may also become more involved in the dayto- day information requests coming from investors. If the PE fund does not contract with the administrator to provide these services, the investment manager will often have to perform them, generally without additional compensation. Under the Custody Rule (Rule 206(4)-2, the “custody rule” under the Investment Advisers Act of 1940), the PE fund may need to select a bank or broker-dealer to act as a qualified custodian of the PE fund’s assets. The bank or broker-dealer will propose a form of service agreement describing the services to be offered and the fees received. The core service is the agreement to hold the PE fund’s securities in an account maintained for the PE fund by the bank or broker-dealer, along with basic reporting regarding that account or accounts. The custodian will typically be exculpated for the misconduct of third parties and will be indemnified by the PE fund for the PE fund’s misrepresentations or breaches of the agreement. Custodial and administrative services may be performed by the same third-party provider; if this is the case, a single agreement may govern both types of services. The operating agreement is the basic legal agreement for the limited liability company that acts as general partner to a PE fund organized as a limited partnership. To better contain liability, a new general partner entity would be formed for each separate fund managed by the same investment manager. The members would be the founders and other senior personnel who conduct the fund’s investment activity, but may also include other members of the team that the manager wishes to incentivize. In a typical PE fund manager, there are usually one or two founding and leading professionals who retain a permanent equity stake in the firm that cannot be involuntarily reduced and who admit senior personnel as equity owners on a limited basis and contingent on the continued satisfactory performance of their duties. The operating agreement provides for the allocation of carried interest among the members of the general partner. The members of the general partner may be called upon to severally guarantee their share of any carried interest received by the PE fund, to the extent that the general partner has any clawback obligations. Content adapted by Alyssa Heumann with assistance from David Schwarz. 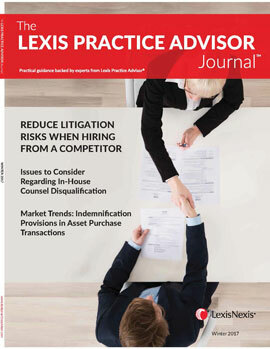 Alyssa Heumann is a Content Manager in Private Equity for Lexis Practice Advisor®. Alyssa was most recently assistant general counsel at GoldPoint Partners LLC, a private equity boutique wholly owned by New York Life Insurance Company. She began her legal career as a member of the investment management group at Schulte Roth & Zabel LLP.